A Favorite Boston South End Restaurant is Growing! 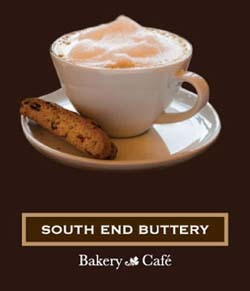 The South End Buttery will be expanding its Union Park café and opening a second nearby location late this summer. This cozy nook of a South End restaurant is the definition of a neighborhood hangout: dimly-lit rooms, the best brunch around, prices low enough for impromptu weeknight dinners, and well-executed but familiar fare. Chef Joseph Brenner introduces their motto of a “better alternative to cooking at home” for delicious but inventive comfort foods such as a lobster, shrimp, and corn pot pie, or sinful desserts like chocolate-espresso torte with coffee ice cream. After establishing his café as a local institution over the past seven years, owner Richard Gordon is dramatically expanding his business. In addition to doubling the original location at 312 Shawmut Avenue by adjoining it with neighboring 314 Shawmut, Gordon is in the process of opening a second location near the corner of Clarendon and Appleton Streets. The new space will will be an extension of the existing Buttery and will carry many of the same details such as the tin ceiling and bead board. Infamous for their baked goods and sandwiches, the Buttery’s Clarendon Street location will be serving the same delicious breakfast and lunch items along with coffees and teas. In addition to café items, this space will also serve as a small market, with upscale grocery items available for purchase. 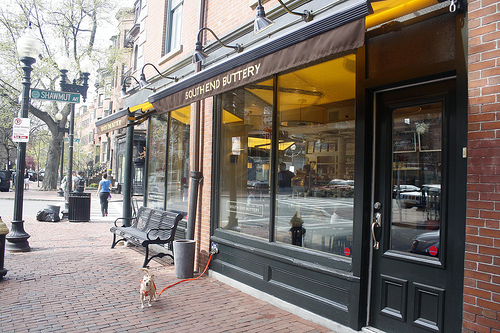 The South End Buttery is one of Clarendon Square’s favorite local lunch spots. We are excited to see they are doing so well in the same neighborhood as our Boston bed and breakfast! 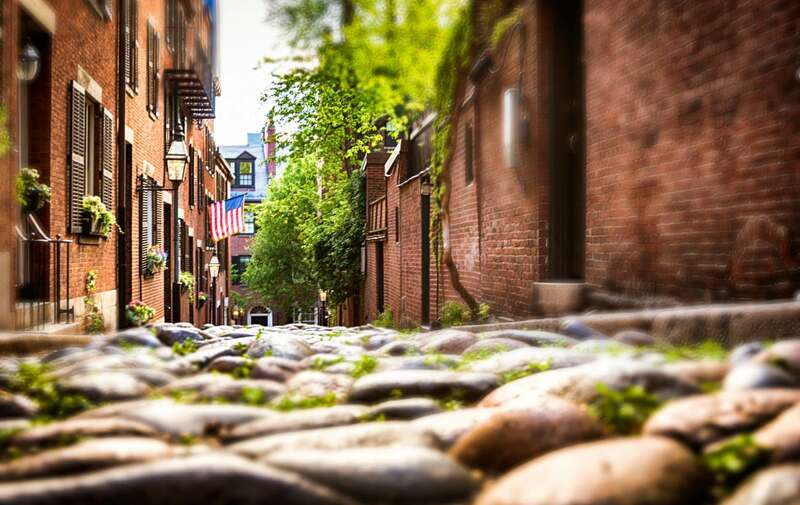 This entry was posted in Uncategorized and tagged boston bed and breakfast, boston cafe, Boston restaurants, clarendon square, shawmut, south end buttery, south end dining by admin. Bookmark the permalink.